Draft: 2011, Los Angeles Dodgers, 12th rd. April 2, 2019 OF O'Koyea Dickson assigned to Auburn Doubledays from Harrisburg Senators. 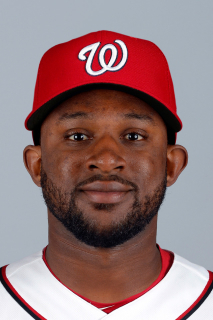 February 16, 2019 OF O'Koyea Dickson assigned to Harrisburg Senators. February 15, 2019 LF O'Koyea Dickson assigned to Washington Nationals. November 6, 2017 LF O'Koyea Dickson elected free agency. November 6, 2017 Los Angeles Dodgers sent LF O'Koyea Dickson outright to Oklahoma City Dodgers. November 2, 2017 Los Angeles Dodgers activated LF O'Koyea Dickson from the 60-day disabled list. September 29, 2017 Los Angeles Dodgers placed LF O'Koyea Dickson on the 60-day disabled list. Subluxed left shoulder. September 1, 2017 Los Angeles Dodgers selected the contract of LF O'Koyea Dickson from Oklahoma City Dodgers. August 28, 2017 Oklahoma City Dodgers placed LF O'Koyea Dickson on the temporarily inactive list. July 25, 2017 Oklahoma City Dodgers activated LF O'Koyea Dickson from the temporarily inactive list. July 22, 2017 Oklahoma City Dodgers placed LF O'Koyea Dickson on the temporarily inactive list. February 14, 2017 Los Angeles Dodgers invited non-roster LF O'Koyea Dickson to spring training. January 21, 2017 Naranjeros de Hermosillo traded LF O'Koyea Dickson to Aguilas de Mexicali. December 4, 2016 LF O'Koyea Dickson assigned to Naranjeros de Hermosillo. September 23, 2016 Oklahoma City Dodgers activated LF O'Koyea Dickson from the 7-day disabled list. September 16, 2016 Oklahoma City Dodgers placed LF O'Koyea Dickson on the 7-day disabled list. May 22, 2016 Oklahoma City Dodgers activated LF O'Koyea Dickson from the 7-day disabled list. April 30, 2016 Oklahoma City Dodgers placed 1B O'Koyea Dickson on the 7-day disabled list. April 28, 2016 Oklahoma City Dodgers activated 1B O'Koyea Dickson from the 7-day disabled list. April 11, 2016 Oklahoma City Dodgers placed 1B O'Koyea Dickson on the 7-day disabled list retroactive to April 10, 2016. November 3, 2015 1B O'Koyea Dickson assigned to Tigres de Aragua. May 4, 2015 Oklahoma City Dodgers activated 1B O'Koyea Dickson from the 7-day disabled list. April 18, 2015 Oklahoma City Dodgers placed 1B O'Koyea Dickson on the 7-day disabled list. April 7, 2015 1B O'Koyea Dickson assigned to Oklahoma City Dodgers from Tulsa Drillers. January 9, 2015 Los Angeles Dodgers invited non-roster 1B O'Koyea Dickson to spring training. April 3, 2014 O'Koyea Dickson assigned to Chattanooga Lookouts. March 14, 2014 1B O'Koyea Dickson assigned to Los Angeles Dodgers. August 13, 2013 Rancho Cucamonga Quakes activated 1B O'Koyea Dickson from the 7-day disabled list. July 30, 2013 Rancho Cucamonga Quakes placed 1B O'Koyea Dickson on the 7-day disabled list. March 6, 2013 1B O'Koyea Dickson assigned to Los Angeles Dodgers. May 3, 2012 O'Koyea Dickson assigned to Great Lakes Loons from Ogden Raptors. July 1, 2011 O'Koyea Dickson assigned to Ogden Raptors from Los Angeles Dodgers. June 30, 2011 Los Angeles Dodgers signed 1B O'Koyea Dickson.